I ran into this article in Japanese that talked about the heat wave in Japan and how the shaved iced business has increased (to like $40B USD worth or 4000億円) with a brief mention of Yu-chan. Because Yu-chan LOVESSSSSSSS shaved ice. Even has her own machine at home, and writes monthly articles and whatnot, and apparently that’s a thing with other young women who eat their shaved ice while walking back and forth. 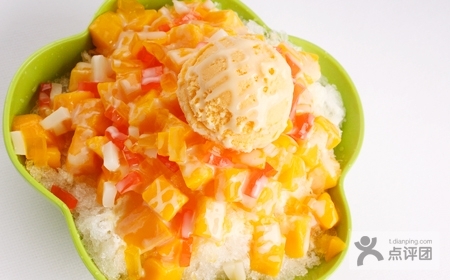 Yu has also talked about the perfection that is the shaved ice parlor in Taiwan. Dude, she’s serious. Taiwanese shaved ice is serious business. My Mandarin teacher told me he missed them because the raspadillas  here are so wishy-washy. Then I saw Taiwanese shaved ice. I just watched Shunji Iwai’s Vampire – FINALLY! – sadly, it didn’t give me any important feels about it despite the LONG wait. Not even Yu-chan’s performance, though I really think having to speak English hindered her usual scene-stealing capabilities. It also seemed Iwai was slacking around with his script, and he just dropped Mina’s role for Aoi there if she wanted it at the last minute because she’s just so damn relaxed in it. I have no feelings towards Kevin Zegers, and Iwai only used all her actresses as passersby so even Keisha Castle-Hughes (only in the beginning), Kristin Kreuk (all the way into the end) and Katharine Isabelle (somewhere in the middle for a few minuets) fans are going to be disappointed. Rachael Leigh Cook has a bigger part in the film, but plays not a very compelling character, which I think would have been a better fit for Isabelle.